Lord, Have Mercy: The Healing Power of Confession by Scott Hahn - Catholic Spiritual Book, 208 pp. Swear to God. 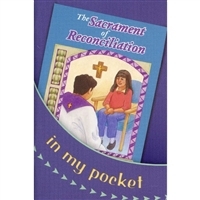 The Promise and Power of the Sacraments by Scott Hahn - Catholic Mass Book, Hardcover, 232 pp. The Seven Deadly Sins by Kevin Vost, Psy.D. Amazing Grace for the Catholic Heart by Jeff Cavins, Matt Pinto, & Patti Armstrong - Catholic Book, 290 pp.